While the snow has been falling at the high elevation of 7,800 ft. in Pie Town, New Mexico, there has not been much imaging time during the last week or two. Therefore we took advantage of the "down time" of the Astronomical Telescope for Educational Outreach (ATEO) to take care of some annual maintenance and upgrading. As we posted earlier, the crew at SkyPi Online Observatories successfully cleaned the 16" primary mirror of the remote telescope with a polymer solution. That was checked off our list! The ATEO patiently waits for the snow and skies to clear-up in the high elevation of New Mexico. Muir Evenden, Insight Observatory's Systems Engineer, sent down to the staff at the New Mexico site a few adaptors to install for reaching the "Sweet Spot" of the CCD cameras field of view. This allows the coma in the outer area of the field of view to diminish. Muir also sent along an Astrodon brand "V" filter to replace the Ha filter that had been in the CCD camera filter wheel since its installation last May. The purpose of this filter is to allow users of the telescope to perform real scientific research. The projects included can be studying variable stars and their magnitude changes as well as recording the changing magnitudes of asteroids. at SkyPi Online Observatories where the ATEO resides. Photo by Dustin Smith. 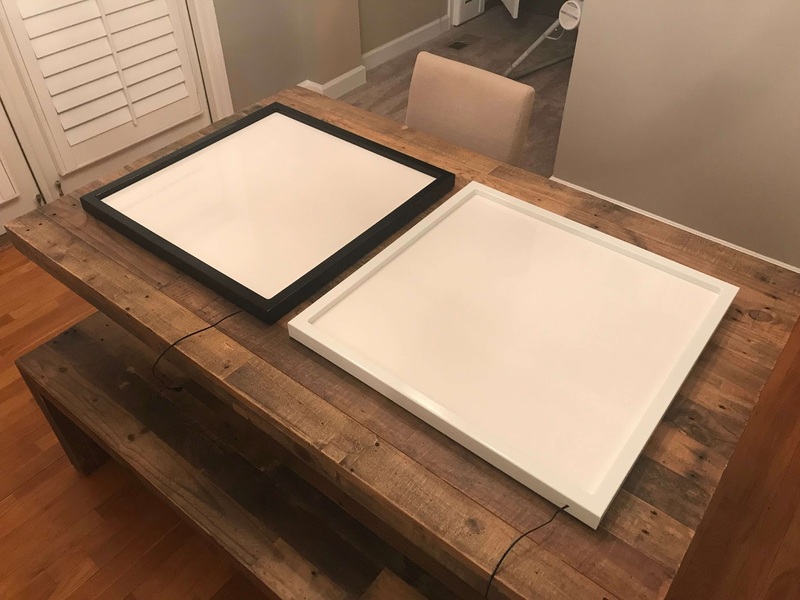 This telescope maintenance period also convinced us it would be a convenient time to purchase a Wall Mounted Flat Frame Light Box for creating flats for image processing of data taken by the telescope. The light source is an electroluminescent panel housed behind a sheet of translucent white acrylic, providing perfect even illumination of the field edge-to-edge. A dimmer will be included so we can easily adjust the panel brightness to fit our needs. The alternative to purchasing this built-to-order device was to rush through twilight to shoot all of our flat frames. The lightbox will be mounted in a position inside the observatory where the telescope park position is so we can take flats anytime. With the beta version of Insight Observatory's remote telescope access portal being released within the next few weeks, we thought the timing of delivery of the flat field box to Gamma Observatory where the telescope is housed to be more than ideal. Last but not least, Muir successfully installed and tested the latest updated version of TheSkyX software by Software Bisque remotely from his home office. 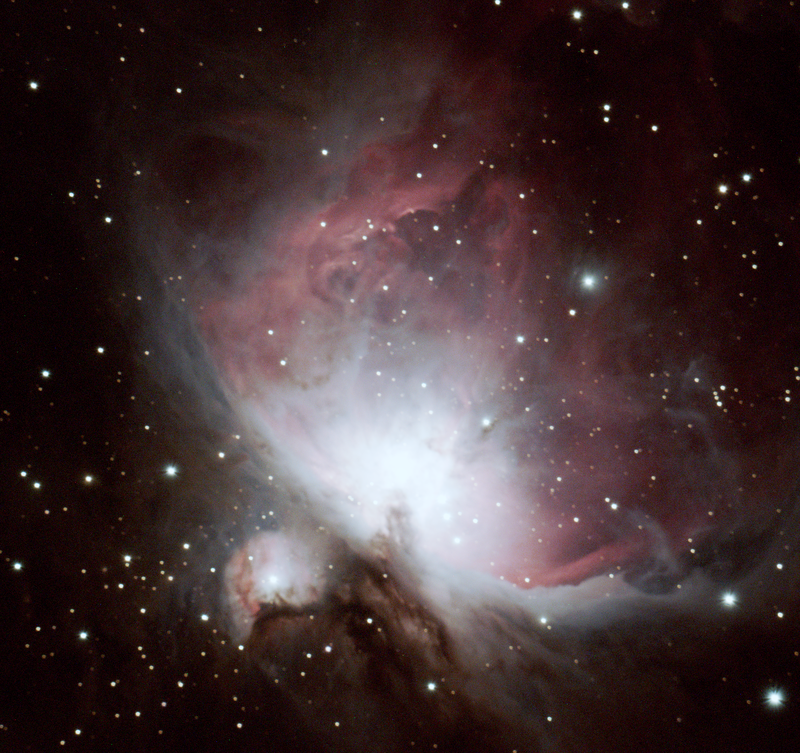 This software application runs all of the telescope and imaging equipment with a Linux operating system installed on a Raspberry Pi. We will be sending notices out to of our subscribers and social media followers when the online beta portal is released. Once again... 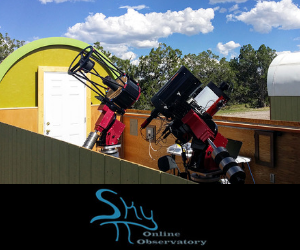 Many THANKS to the wonderful staff at SkyPi Online Observatories for all of their hard work and assistance with the maintenance and upgrades on the Astronomical Telescope for Educational Outreach (ATEO).